First things first, what is local SEO? In simple terms, it’s Search Engine Optimisation that is specifically designed to attract your target audience or users in a targeted geographical location. 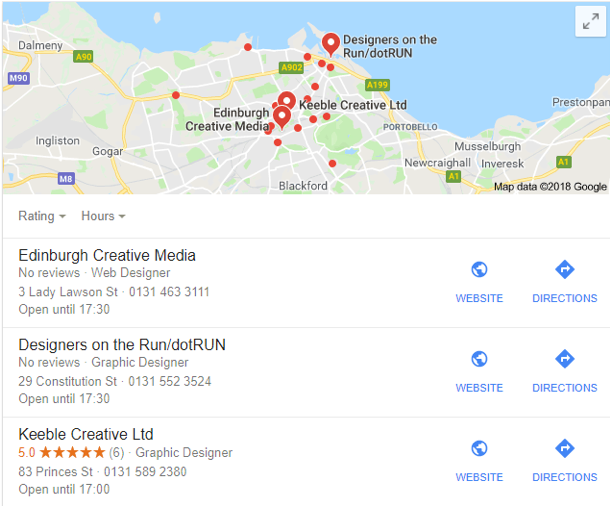 So, if you’re a graphic design company in Edinburgh, U.K., and you only want to attract users within this area, you’d use local SEO. Google is constantly updating their ranking algorithm, so keeping up-to-date with local SEO is very important. Recently, Google stated that local searches with high relevance, combined with a high-quality website with original content, would be prioritised over those that rank lower on their algorithm. Does a small difference really matter? Yes, it really does. Google are becoming very strict when it comes to SEO and page ranking; as well as improving your ranking, Google will penalise your website’s ranking if it doesn’t conform to their standards. Google RankBrain is Google’s AI system used in their search algorithm; we won’t lie, it’s a complicated system, but it’s definitely worth checking out in order to improve your website’s SEO techniques. Some simple changes to your website can improve your local SEO, similar to general SEO. Ensuring that you include relevant keywords in your page title is an absolute must! It might be tempting to overload on your keywords – the more keywords you have, the better chance you’ll be seen on Google, right? Wrong! Remember, Google’s algorithm will not go easy on you if you’re not sensible about your SEO techniques. There are also many software options for you to fix and correct SEO issues (many of these we use ourselves. Can smart phones make a difference to your Local SEO? Absolutely! Think about it, when you’re out and about shopping and you fancy a bite to eat, what do you do? You probably use your smart pone to check Google to see the information and location of local restaurants nearby. That’s local SEO right there! 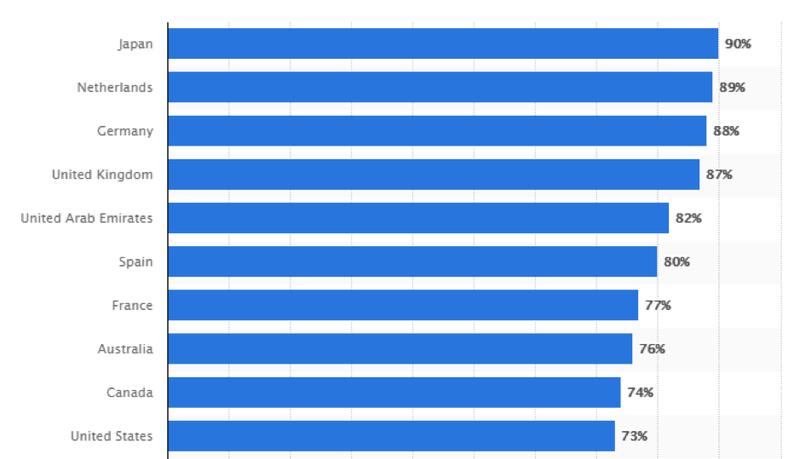 According to Statista.com 73% of the U.S., as of January 2017, were using their mobile phone to browse the internet, and 90% in Japan.